Libraries are full of readers, not the least of whom are staff! If you are curious about what our staff is reading, listening to or watching, this is the spot to find out. Check here for our suggestions and see what we are excited about. Join the conversation and let us know what you think. 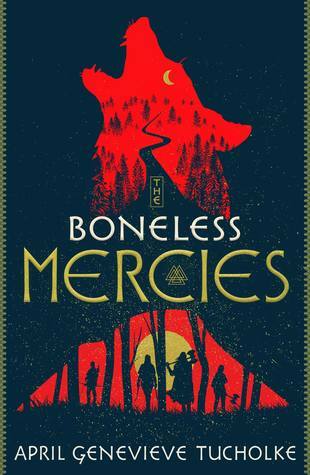 The Boneless Mercies is a rare find: a fantastic read for the dead of winter. It is a tale of bitter cold, fearsome beasts, and untimely death, but burning at its heart we find the fierce mercenary Frey and her companions, on a quest for glory. Set in a thinly-veiled fantasy replica of ancient Scandinavia, the story follows a young band of Mercies (female mercenaries) who decide to leave their lives as death-traders behind to hunt down a rampaging beast and win fame and fortune. Along the way they become embroiled in plots beyond their comprehension, involving magic as ancient as the earth, sea, and wind. Nothing is as simple as it first appears, a lesson Frey and her friends must learn the hard way. In the end, Frey must confront the true meaning of heroism, and decide what price she is willing to pay for it. Tucholke’s fourth novel reads like an ancient northern legend, in which the elements play as much a part as the characters. It is a testament to Tucholke’s powers of description that I found myself wishing for a roaring fire to sit beside, or a snow-covered pine forest to explore. 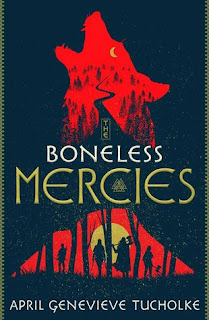 Her previous books proved her gift for enchantment, and The Boneless Mercies does not disappoint. Prepare to be bewitched. Click here to find in the catalog. If marriage is the prize, you’d better be skilled in the art of “grabbing it,” it being an eligible bachelor. 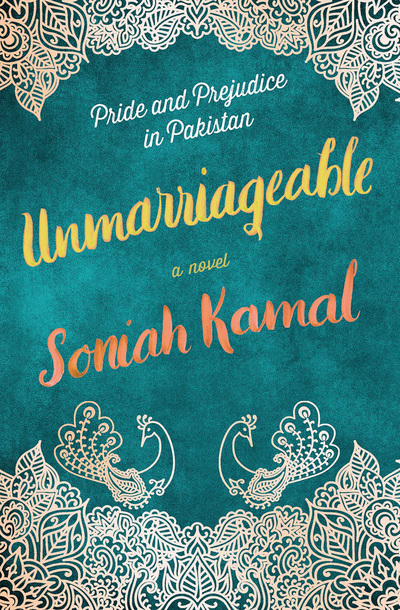 In her Pride and Prejudice adaptation, Soniah Kamal transports Jane Austen’s narrative to early-2000s Pakistan, imbuing the often-reimagined story with a fresh lexicon. Unmarriageable proves the timelessness of Austen and how her centuries-old plotline finds a home in many cultures. The Binat family has fallen far, deceived out of their fortunes by Mr. Binat’s own brother, and have been making due with reduced circumstances for more than a decade. To Mrs. Binat’s chagrin, her two oldest daughters must work, finding employment as teachers at the local school. All five Binat girls—Jena, Alys, Mari, Qitty and Lady—await their (mother’s) longed-for fate of a good marriage. As an admirer of Austen’s work, I appreciate how others want to emulate her. It is a truth universally acknowledged, however, that it is quite the undertaking. 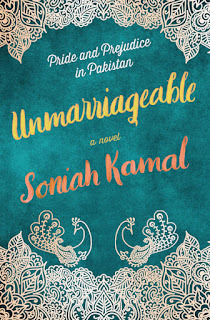 Altogether, Unmarriageable is light and entertaining. Meddling mothers, conniving sisters, arrogant men and a marriage-minded society provide plenty of fodder, and in the end, class clashes and societal expectations transcend the ages as well as geography. Click here to place on hold. *Portions of this review was originally published in the January 2018 issue of BookPage. It was published with their consent. In the 1950s, Brighton, England, was bucolic and lovely—if you disregard the hooligans, Teddy Boys and other criminal mischief- makers lurking about. 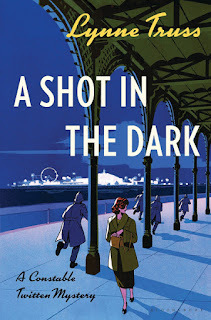 In A Shot in the Dark, author Lynne Truss of Eats, Shoots and Leaves (2003) fame introduces Inspector Steine, a police captain who wants nothing more than for crime to simply relocate itself so he can enjoy his ice cream in peace. When a well-known theater critic is gunned down just before he’s supposed to share crucial evidence in an old case, earnest Constable Twitten is determined to buck departmental tradition and actually solve a crime. This farcical tale is packed with interwoven plotlines, clues strewn about like confetti and a comically oblivious chief inspector. It reads like a stage comedy, and in fact Truss has written four seasons’ worth of Inspector Steine dramas for BBC Radio. There are no dark and stormy nights here, just gorgeous seaside views marred by occasional corpses. The ’60s are coming, but for now, women are still largely ignored; this turns out to be its own kind of liberation, since who would suspect them? 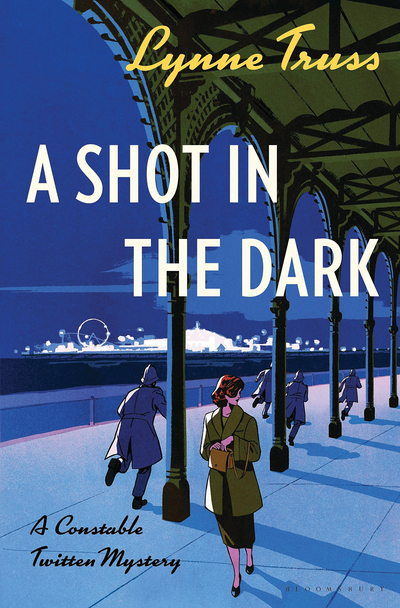 Sharp and witty, A Shot in the Dark is a good time. Click here to view in the catalog. *Portions of this review was originally published in the November 2018 issue of BookPage. It was published with their consent. This epic but fast-moving novel focuses on several members of the same multigenerational family, starting with Kollie, a Liberian-American teenager in 2008 Minnesota struggling with his school, community, and family. The novel moves between the United States and Liberia and backward and forward in time ranging from 1826, soon after African-Americans settled in the new African country, to 2018. 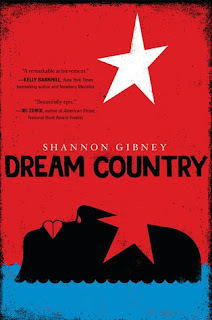 Gibney only spends a few chapters with each group of characters, and I would have been happy to read more about any of these parents, children, soldiers, and lovers, but the book’s relative brevity speeds it along. All major characters’ stories are compelling, even as they face terrible hardships and losses. The final section ties these tales together in an especially satisfying way. Gibney is both a gifted author—her prose is poetic but realistic—and an authority on the subject: she is a professor of English and African diaspora (and she offers a helpful historical timeline at the end of the book). The film is a beautiful heartwarming tribute to Fred Rogers and Mister Rogers' Neighborhood - a show which changed children's television forever. The film highlights Rogers' humanity and decency and shows how he could bring his message of decency to children. Few documentaries have been able to capture the spirit, humanity, and works of a person this well. The tone of the movie is set almost immediately; old footage plays showing a much younger Rogers playing the piano and giving reason for his ambitions. He doesn't seem to be too full of himself, and the concept he has in mind is one that is both humble and sweet. Even before he's given the ability to use his talents, he seems as if he's right next to them. The strong point of this film, for sure, is it's humane portrayal of Rogers. It doesn't just linger on the fact that he did good things, it explores what made him want to do those good things. His motivations make sense, and he, as a person, nearly brought tears to my ears several times. 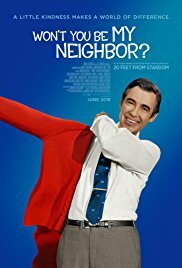 It made me nostalgic for the days when I would stay home with Mr. Rogers and his beloved friends from his Neighborhood. Click here to view in our catalog. Picoult sets her story in Jackson, Mississippi—all the action taking place over one long day at the Center, a women’s clinic for those who had “run out of time and had run out of choices.” Picoult begins her riveting saga at the end of the story, when George Goddard—a distraught, anti-abortion father whose teenage daughter recently had an abortion at the Center—storms inside, fires several shots and takes an unknown number of hostages. Hostage negotiator Hugh McElroy has been called to the scene to confront George. 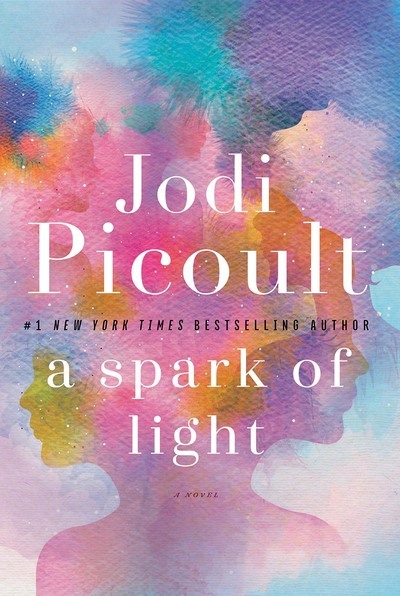 Picoult then moves backward in time, hour by hour, gradually filling in the details of those who came to the Center that day and why they came. She approaches this divisive issue from all sides—not blaming or condoning, but shining a perceptive light into the lives of those now hoping to survive the hostage situation. Izzy, a nurse, struggles with the dilemma of whether or not to tell her boyfriend about her newly discovered pregnancy. She’s risen from a childhood of poverty and doesn’t want to rely on him, “the prince from the entitled family.” After the shooting, Izzy tends to the leg wound suffered by Dr. Ward, whose own mother died from an illegal abortion. Dr. Ward regularly travels between four states to provide abortions for women living where almost all such clinics have closed. Joy completed her abortion before the shooting starts—and although she wanted the procedure, she’s still in mourning for what she’s lost. She lived in foster care for 10 years and didn’t want another child to go through the same miserable experience. Also inside the Center that morning are Hugh’s teenage daughter, Wren, and his older sister, Bex, who has helped raise Wren since Hugh’s wife left them years ago. Wren is there for a prescription for birth control pills, and she asked Bex to accompany her so she wouldn’t have to walk alone past the line of protesters. Interspersed with these stories of how each character came to be at the Center are the ongoing negotiations between Hugh and George, heightening the tension throughout the novel, even though most of the denouement occurs in the opening chapter. *Portions of this review was originally published in the October 2018 issue of BookPage. It was published with their consent. Novels revolving around the assassination of John F. Kennedy have become a genre unto themselves. There are plenty, and likely even more conspiracy theories to boot. So at first take, November Road, the new thriller from author Lou Berney, may seem like just another book to add to the stack. Berney, though, is not just another author. Through gorgeous prose, the Edgar, Macavity and Anthony Award-winning author of The Long and Faraway Gone elevates an otherwise simple cat-and-mouse story into a heartfelt journey of hope and discovery for two characters running from their pasts. While the loss of the president is certainly felt throughout November Road, it only serves as a backdrop to what is essentially a story of redemption. The novel follows Frank Guidry, an enforcer for mobster Carlos Marcello, whose hands are all over JFK’s death. Frank is tasked with retrieving and disposing of a getaway car parked near the scene of the crime in Dallas, and a hit man has been tasked with disposing of Frank once the job is done. Aware that his life is in jeopardy, Frank makes a desperate dash for freedom along Route 66. At the same time, young mother Charlotte Roy, along with her two daughters, is making her escape from a failed marriage in Oklahoma. Naturally, the storylines eventually cross as Frank encounters Charlotte, whom he sees as a way to throw off his pursuer. What begins as a convenient way to cover his tracks evolves into a serious romance between the two characters. But with a killer after Frank, the suspense builds toward a fateful showdown. 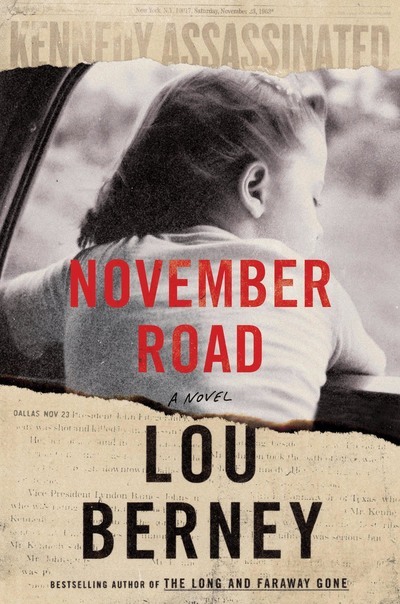 In the end, November Road is more than the sum of its parts—a thrilling plot, an iconic period piece and unforgettable characters. Above all, it’s an American novel not to be missed. Click here to find in our catalog. **Portions of this review was originally published in the October 2018 issue of BookPage. It was published with their consent.